The 37.5-meter, ice-strengthened research ship Hero, which supported NSF funded scientists in Antarctica from 1968 to 1984, is available for transfer to a nonprofit organization or for sale. The ketch-rigged motor sailor, no longer owned by the National Science Foundation, is offered by the International Oceanographic Hero Foundation. 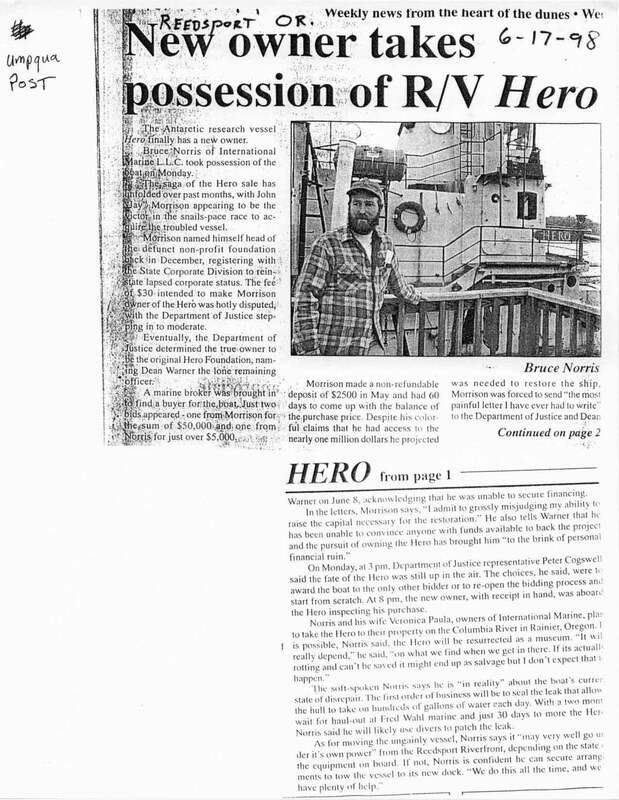 The Hero Foundation acquired the Hero after the Port of Umpqua of Reedsport, Oregon, obtained the ship through the Federal Surplus Property program in 1984. For years, the Hero Foundation enriched appreciation and understanding of the Antarctic by giving tours of the ship to tourists and school children. In recent years, interest in the Hero has declined, and last year, the Hero Foundation was dissolved. As a result, the Oregon Department of Justice is assisting with the wind up of Hero Foundation affairs, including the transfer of this sole asset. The ship is unique and a part of antarctic history. The Oregon Department of Justice says that only someone with knowledge of ships and ample funds will be able to restore Hero. 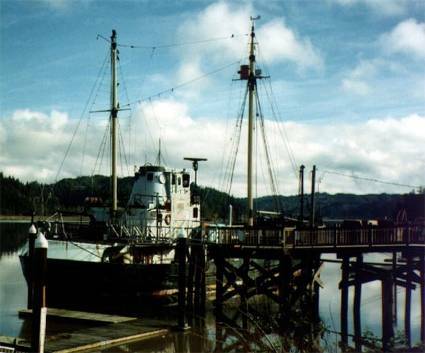 Any future use will have to include its removal from the current berth (shown) in Reedsport. For information, or to make a suggestion, contact ... Oregon Department of Justice [contact information deleted]. Please do not contact the National Science Foundation. NSF is no longer involved with the Hero and is not able to provide further information. 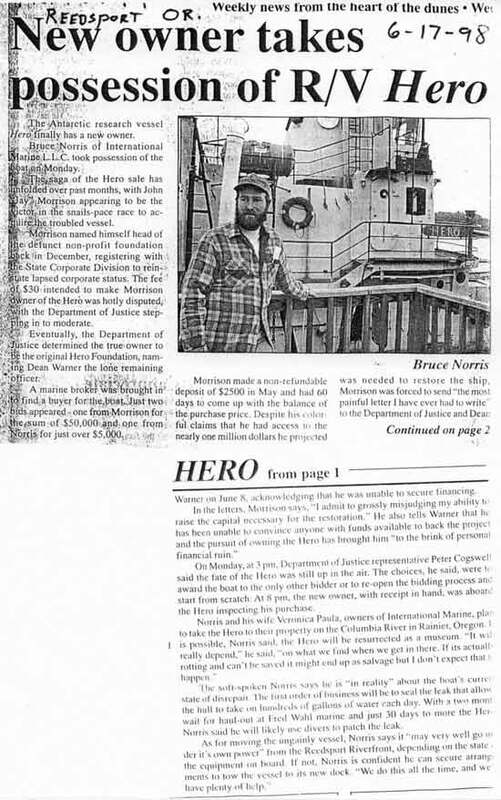 After all of the legal battles described on the previous page, Hero was sold at auction by the State of Oregon to Bruce W. Norris for just over $5,000. Below, a June 1998 Umpqua Post article about the sale, with a photo of Bruce.